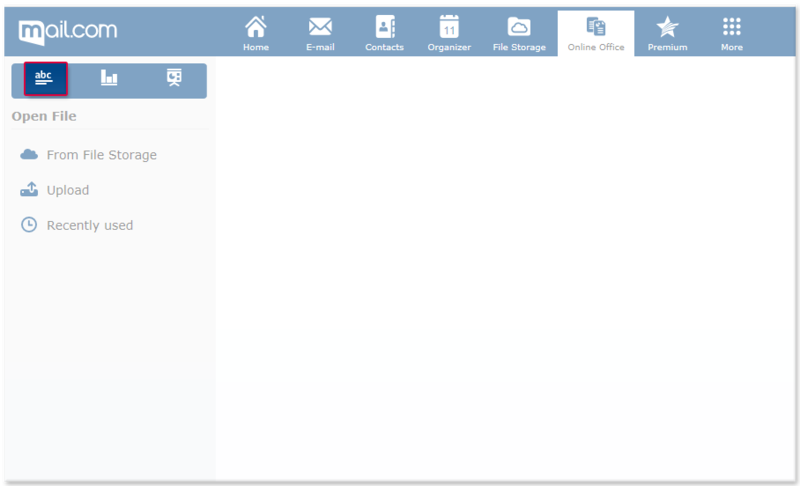 Create a new text file with Online Office that will be stored in your mail.com File Storage. A new text file will be created automatically. It is labeled with the date of creation and stored in the folder "/My Office Files" in your mail.com File Storage.